When an employer sends your pay directly to your checking or savings account rather than issuing you a paper check, you're participating in Direct Deposit. These deposits arrive on time, every time, and are made available to you more quickly. They also can be automatically divided among different accounts based on your direction. Participating in the Direct Deposit program reduces the need to produce, store and get rid of a significant amount of paper. On payday, rather than receiving a paper check, the net income you've earned during that pay period will be deposited into your account. The amount of the deposit will appear on your MVFCU statement. We believe you will like the added convenience of having your net pay automatically deposited for you. 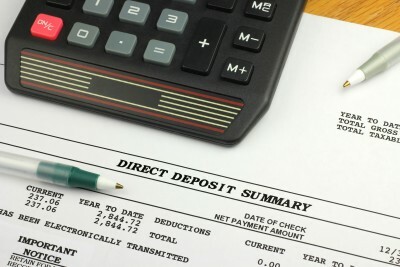 Fill out the MVFCU Payroll Direct Deposit Form and submit it to your employer. If you need help filling out the form, stop by any of our Community Offices or contact us.